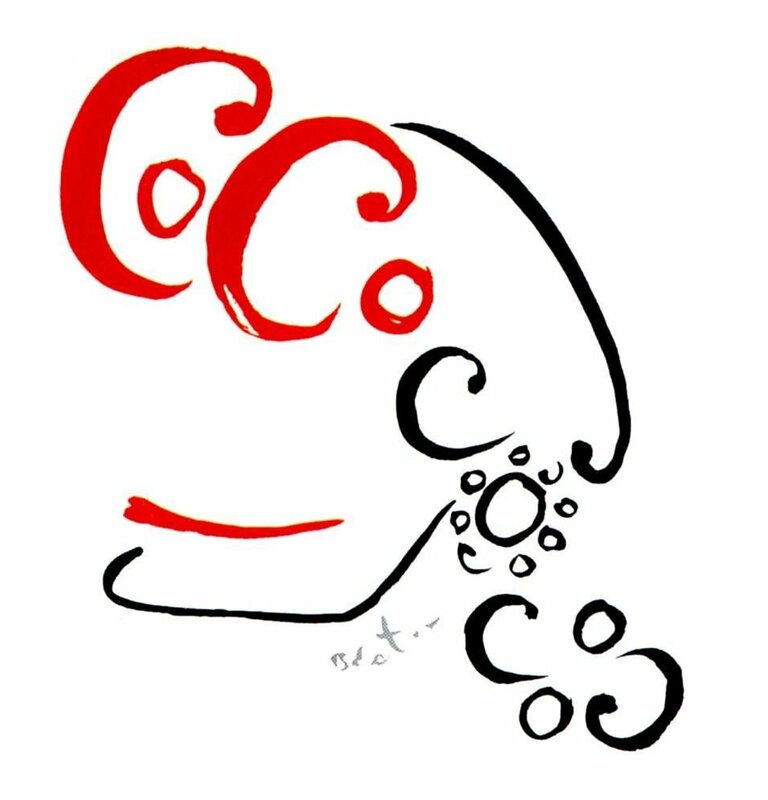 Coco is a 1969 musical with a book and lyrics by Alan Jay Lerner and music by André Previn, inspired by the life of Gabrielle “Coco” Chanel. 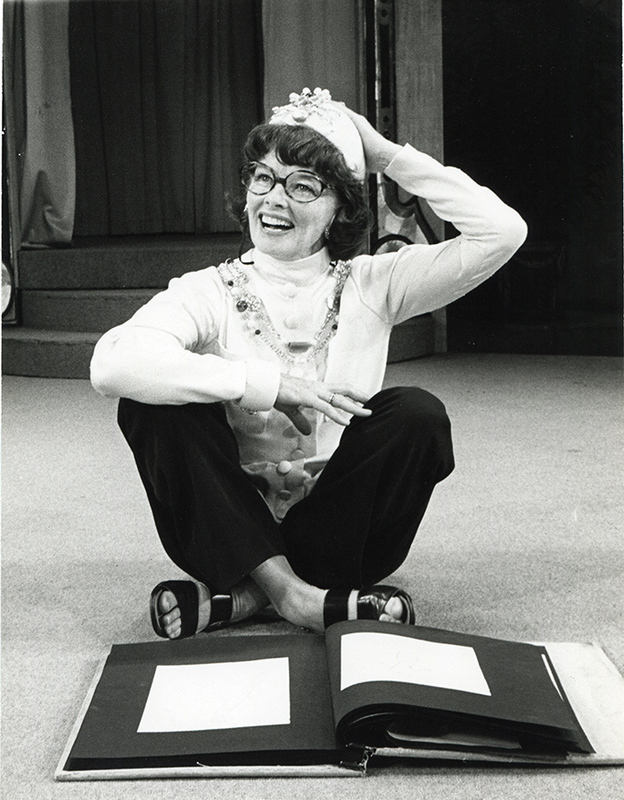 It starred Katharine Hepburn in her only stage musical. 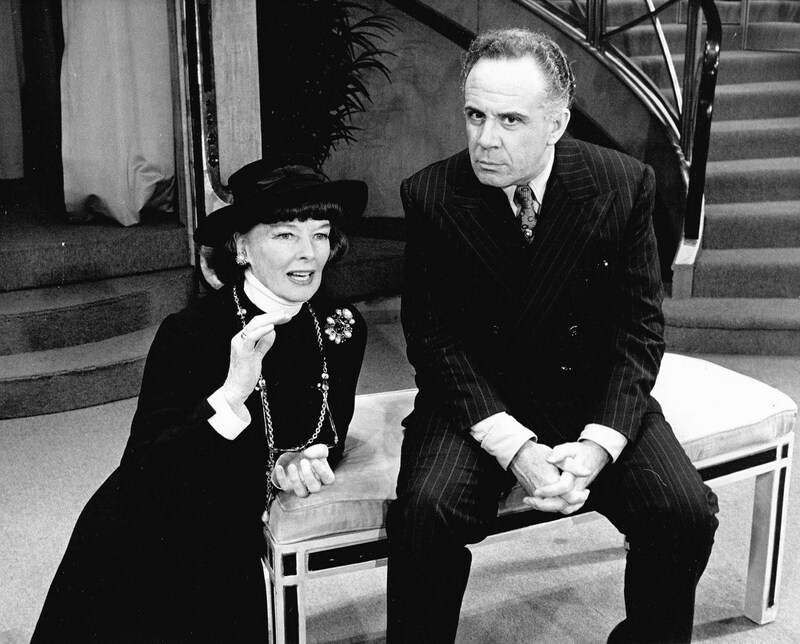 Theatre producer Frederick Brisson originally had optioned Chanel’s life for his wife Rosalind Russell, but Russell had developed acute arthritis, making it difficult for her to function. That meant another leading lady with star quality needed to be found. 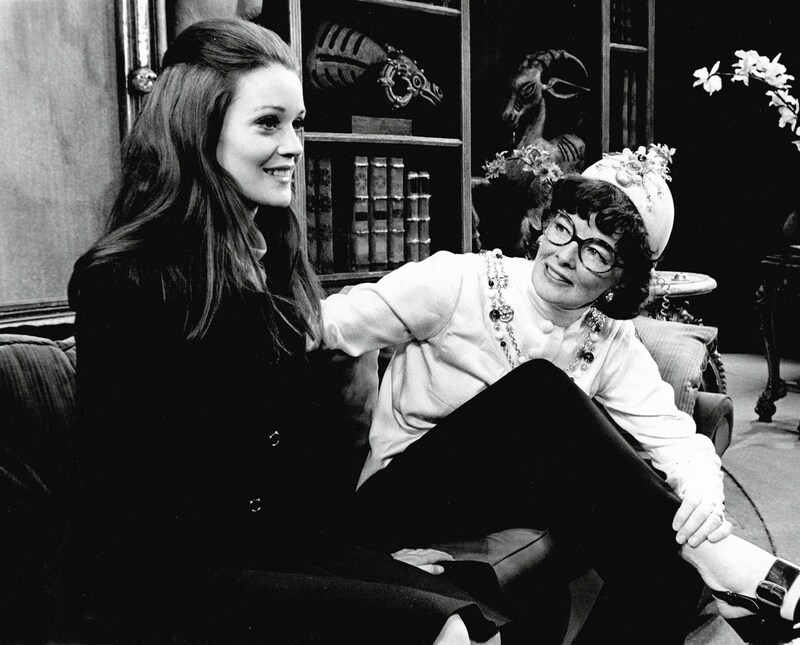 Irene Selznick suggested Katharine Hepburn, who initially scoffed at the idea of appearing in a musical but agreed to work with former MGM vocal coach Roger Edens for ten days. 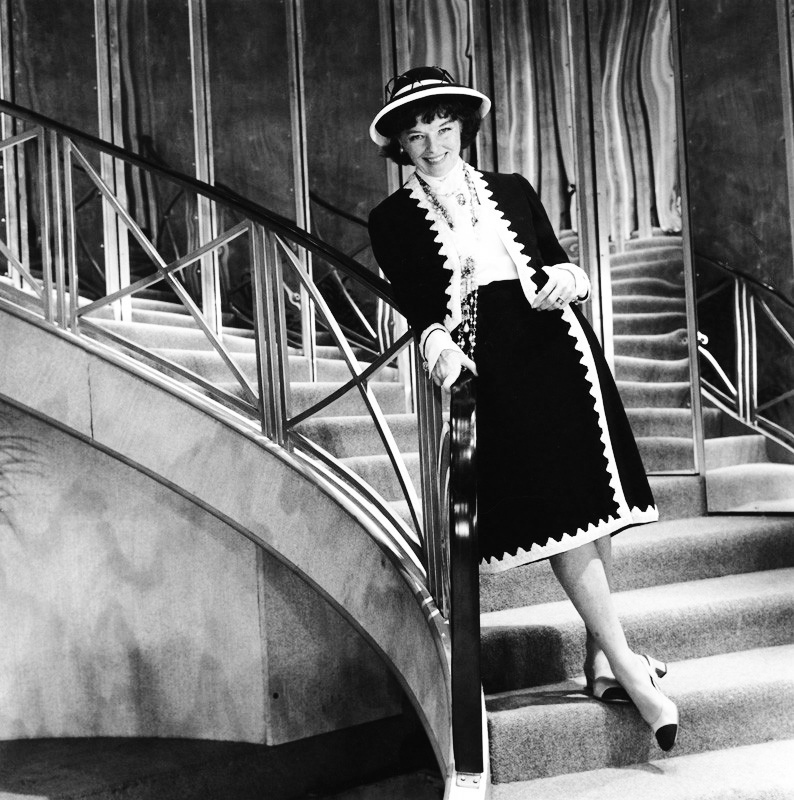 Following an audition in Selznick’s suite at The Pierre Hotel, Hepburn felt comfortable enough to mull seriously the proposition, and was further convinced to accept the offer after meeting Chanel. Set between early autumn of 1953 and late spring of 1954, fashion designer Coco Chanel, after fifteen years of retirement, decides to return to the world of Haute Couture and reopen her Paris salon. With her new collection derided by the critics, she faces bankruptcy until buyers from four major American department stores – Saks Fifth Avenue, Bloomingdale’s, Best & Company, and Ohrbach’s – place orders with her. She becomes involved with the love life of one of her models, and flashbacks utilizing filmed sequences recall her own past romantic flings. Adding humor to the proceedings is a highly stereotypical rude gay designer who tries to impede Chanel’s success. The finale is a fashion show featuring actual Chanel designs from 1918 to 1959. Cecil Beaton confessed that he simply copied Chanel’s designs instead of interpreting them for the stage, they would have looked like something from a thrift store. 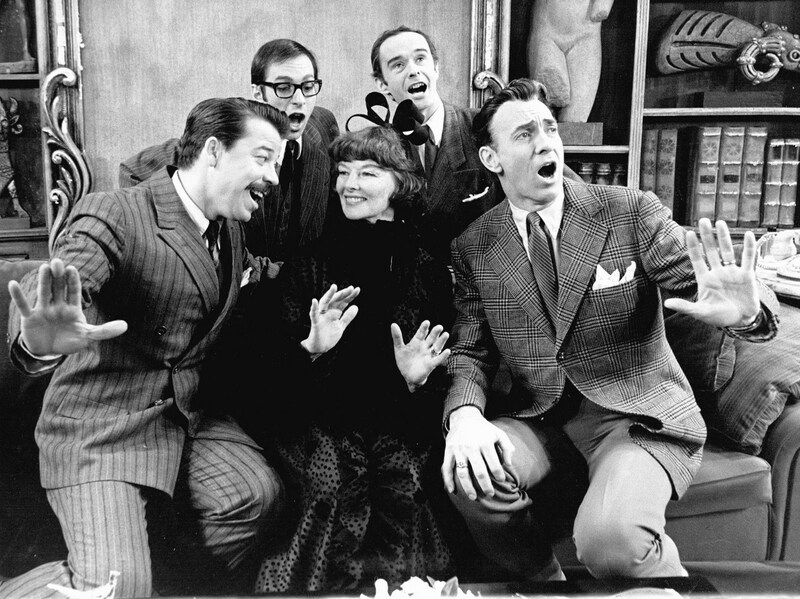 Nevertheless, Beaton won a Tony award for Best Costume Design in 1970. Although directed by Yoann Lemoine, the concept for the Born to Die video was also written by Del Rey in the form of a treatment she titled, “The Lonely Queen”. The video was intended to be set in Heaven, metaphorically represented by a Romanian castle. While the narrator was flanked by tigers, she would recall memories of being with her beloved. Lana Del Rey was born on 1986, the Year of the Tiger, according to the Shēngxiào (Chinese: 生肖), also known in English as the Chinese zodiac. It might explain the inclusion of the tigers on the video. Born to Die is a song by American singer-songwriter Lana Del Rey, taken from her second studio album of the same name. It was written and composed by Del Rey and Justin Parker, and produced by Emile Haynie. The singer has stated that the song is an “homage to true love and a tribute to living life on the wild side”, theme that is perceived in lines such as “Let me kiss you hard in the pouring rain, you like your girls insane.” Laura Snapes of NME compared the background to “melted chocolate waterslide, buffeted by impeccable production”, with the John Barry-esque “whipping strings” being noted as similar to the music scores of Gone with the Wind (Victor Fleming, 1939) and Western (Manuel Poirier, 1997). Born to Die was first released in December 30, 2011 as the second single from the album of the same name. It contains a vocal sample of Long Red by Mountain band, which is one of the most sampled drum breaks in the history of hip hop music. The school of Epicurus, called “The Garden,” was based in Epicurus’ home and garden. It had a small but devoted following in his lifetime. In Dante‘s Divine Comedy, the Epicureans are depicted as heretics suffering in the sixth circle of hell. In fact, Epicurus appears to represent the ultimate heresy. The word for a heretic in the Talmudic literature is “Apiqoros” (אפיקורוס), and Epicurus is titled in Modern Greek idiom as the “Dark Philosopher”. Epicureanism emphasizes the neutrality of the gods, that they do not interfere with human lives. Epicurus believed that what he called “pleasure” is the greatest good, but the way to attain such pleasure is to live modestly and to gain knowledge of the workings of the world and the limits of one’s desires. It states that gods, matter, and souls are all made up of atoms. Epicurus’ view was that there were gods, but that they were neither willing nor able to prevent evil. This was not because they were malevolent, but because they lived in a perfect state of ataraxia, a lucid state of robust tranquility, characterized by ongoing freedom from distress and worry, a state everyone should strive to emulate; it is not the gods who are upset by evils, but people. For the Epicureans, ataraxia was synonymous with the only true happiness possible for a person. It signifies the state of robust tranquility that derives from eschewing faith in an afterlife, not fearing the gods because they are distant and unconcerned with us, avoiding politics and vexatious people, surrounding oneself with trustworthy and affectionate friends and, most importantly, being an affectionate, virtuous person, worthy of trust. In this letter, Epicurus summarizes his ethical doctrines. Those things which without ceasing I have declared unto you, do them, and exercise yourself in them, holding them to be the elements of right life. First believe that God is a living being immortal and blessed, according to the notion of a god indicated by the common sense of mankind; and so believing, you shall not affirm of him anything that is foreign to his immortality or that is repugnant to his blessedness. Believe about him whatever may uphold both his blessedness and his immortality. For there are gods, and the knowledge of them is manifest; but they are not such as the multitude believe, seeing that men do not steadfastly maintain the notions they form respecting them. Not the man who denies the gods worshipped by the multitude, but he who affirms of the gods what the multitude believes about them is truly impious. For the utterances of the multitude about the gods are not true preconceptions but false assumptions; hence it is that the greatest evils happen to the wicked and the greatest blessings happen to the good from the hand of the gods, seeing that they are always favorable to their own good qualities and take pleasure in men like themselves, but reject as alien whatever is not of their kind. Accustom yourself to believing that death is nothing to us, for good and evil imply the capacity for sensation, and death is the privation of all sentience; therefore a correct understanding that death is nothing to us makes the mortality of life enjoyable, not by adding to life a limitless time, but by taking away the yearning after immortality. For life has no terrors for him who has thoroughly understood that there are no terrors for him in ceasing to live. Foolish, therefore, is the man who says that he fears death, not because it will pain when it comes, but because it pains in the prospect. Whatever causes no annoyance when it is present, causes only a groundless pain in the expectation. Death, therefore, the most awful of evils, is nothing to us, seeing that, when we are, death is not come, and, when death is come, we are not. It is nothing, then, either to the living or to the dead, for with the living it is not and the dead exist no longer. But in the world, at one time men shun death as the greatest of all evils, and at another time choose it as a respite from the evils in life. The wise man does not deprecate life nor does he fear the cessation of life. The thought of life is no offense to him, nor is the cessation of life regarded as an evil. And even as men choose of food not merely and simply the larger portion, but the more pleasant, so the wise seek to enjoy the time which is most pleasant and not merely that which is longest. And he who admonishes the young to live well and the old to make a good end speaks foolishly, not merely because of the desirability of life, but because the same exercise at once teaches to live well and to die well. Much worse is he who says that it were good not to be born, but when once one is born to pass quickly through the gates of Hades. For if he truly believes this, why does he not depart from life? It would be easy for him to do so once he were firmly convinced. If he speaks only in jest, his words are foolishness as those who hear him do not believe. We must remember that the future is neither wholly ours nor wholly not ours, so that neither must we count upon it as quite certain to come nor despair of it as quite certain not to come. We must also reflect that of desires some are natural, others are groundless; and that of the natural some are necessary as well as natural, and some natural only. And of the necessary desires some are necessary if we are to be happy, some if the body is to be rid of uneasiness, some if we are even to live. He who has a clear and certain understanding of these things will direct every preference and aversion toward securing health of body and tranquillity of mind, seeing that this is the sum and end of a blessed life. For the end of all our actions is to be free from pain and fear, and, when once we have attained all this, the tempest of the soul is laid; seeing that the living creature has no need to go in search of something that is lacking, nor to look for anything else by which the good of the soul and of the body will be fulfilled. When we are pained because of the absence of pleasure, then, and then only, do we feel the need of pleasure. Wherefore we call pleasure the alpha and omega of a blessed life. Pleasure is our first and kindred good. It is the starting-point of every choice and of every aversion, and to it we come back, inasmuch as we make feeling the rule by which to judge of every good thing. And since pleasure is our first and native good, for that reason we do not choose every pleasure whatsoever, but will often pass over many pleasures when a greater annoyance ensues from them. And often we consider pains superior to pleasures when submission to the pains for a long time brings us as a consequence a greater pleasure. While therefore all pleasure because it is naturally akin to us is good, not all pleasure is should be chosen, just as all pain is an evil and yet not all pain is to be shunned. It is, however, by measuring one against another, and by looking at the conveniences and inconveniences, that all these matters must be judged. Sometimes we treat the good as an evil, and the evil, on the contrary, as a good. Again, we regard independence of outward things as a great good, not so as in all cases to use little, but so as to be contented with little if we have not much, being honestly persuaded that they have the sweetest enjoyment of luxury who stand least in need of it, and that whatever is natural is easily procured and only the vain and worthless hard to win. Plain fare gives as much pleasure as a costly diet, when once the pain of want has been removed, while bread and water confer the highest possible pleasure when they are brought to hungry lips. To habituate one’s self, therefore, to simple and inexpensive diet supplies all that is needful for health, and enables a man to meet the necessary requirements of life without shrinking, and it places us in a better condition when we approach at intervals a costly fare and renders us fearless of fortune. When we say, then, that pleasure is the end and aim, we do not mean the pleasures of the prodigal or the pleasures of sensuality, as we are understood to do by some through ignorance, prejudice, or willful misrepresentation. By pleasure we mean the absence of pain in the body and of trouble in the soul. It is not an unbroken succession of drinking-bouts and of revelry, not sexual lust, not the enjoyment of the fish and other delicacies of a luxurious table, which produce a pleasant life; it is sober reasoning, searching out the grounds of every choice and avoidance, and banishing those beliefs through which the greatest tumults take possession of the soul. Of all this the beginning and the greatest good is wisdom. Therefore wisdom is a more precious thing even than philosophy ; from it spring all the other virtues, for it teaches that we cannot live pleasantly without living wisely, honorably, and justly; nor live wisely, honorably, and justly without living pleasantly. For the virtues have grown into one with a pleasant life, and a pleasant life is inseparable from them. Who, then, is superior in your judgment to such a man? He holds a holy belief concerning the gods, and is altogether free from the fear of death. He has diligently considered the end fixed by nature, and understands how easily the limit of good things can be reached and attained, and how either the duration or the intensity of evils is but slight. Fate, which some introduce as sovereign over all things, he scorns, affirming rather that some things happen of necessity, others by chance, others through our own agency. For he sees that necessity destroys responsibility and that chance is inconstant; whereas our own actions are autonomous, and it is to them that praise and blame naturally attach. It were better, indeed, to accept the legends of the gods than to bow beneath that yoke of destiny which the natural philosophers have imposed. The one holds out some faint hope that we may escape if we honor the gods, while the necessity of the naturalists is deaf to all entreaties. Nor does he hold chance to be a god, as the world in general does, for in the acts of a god there is no disorder; nor to be a cause, though an uncertain one, for he believes that no good or evil is dispensed by chance to men so as to make life blessed, though it supplies the starting-point of great good and great evil. He believes that the misfortune of the wise is better than the prosperity of the fool. It is better, in short, that what is well judged in action should not owe its successful issue to the aid of chance. Exercise yourself in these and related precepts day and night, both by yourself and with one who is like-minded; then never, either in waking or in dream, will you be disturbed, but will live as a god among men. For man loses all semblance of mortality by living in the midst of immortal blessings.